Beach Bomb is the last game released by Supercell, which after an exclusively time on the App Store; it has finally come to the Google Play. This is the third game from the company, and despite having only two more titles, they are ranked among the most profitable games from both the App Store and the Google Play. Its other titles are Hay Day and Clash of Clans, both are free to play but included a very well balanced system of in-app purchases. Bomb Beach follows the same freemium style, where we can play perfectly free but we also have the possibility to accelerate some processes or obtain products through small in-app purchases. One of the strengths of both Hay Day how Clash of Clans, is the proper balance between the IAP and the free gaming. We can play just fine without paying anything, reaching the highest levels without any disadvantage to other players that have actually decided to invest some money. 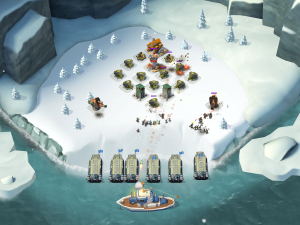 Tthe argument of the game reminds us a little Clash of Clans but the setting is totally different. 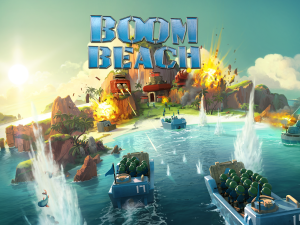 Bomb Beach is set in the present time, where we have to defend a beach from enemy attacks, while we try to expand our domains conquering other lands and attacking other players. The strategy is important and we must choose our defenses carefully, placing them in the right positions without neglecting the continuous improvement of the already constructed buildings. During the course of the battle, we can not intervene too much, except to send flares and choose the landing point. We will also have supporting ships that can help during the landing battle, either launching a missile to the target beach or sending flares and medical supplies to the fighters. The battles happen regardless that we are playing or not, so we always must have the defenses ready. Once we connect to the game again, we will be able to replay the battle and see their evolution, analyzing thus the weak points of our strategy. The dynamics of the game is simple, but when we play for the very first time, we will find a tutorial that will guide us through the key points. Like the other two titles from the company, the game features a curve of increasing difficulty, expanding the possibilities as we gain experience and we can unlock new buildings and improvements. While in the game we can attack other players, the social part is practically negligible. There is no chat system nor there is the possibility to sign alliances with other players, as the game is designed to be played individually. However, Supercell is characterized by updating their games every few months, offering new features with each new version, so maybe the social part could come in the future. 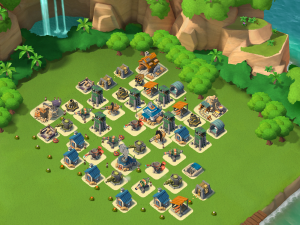 Currently, if you liked Clash of Clans, you will enjoy Bomb Beach. It is worth giving a try. And remember that it is completely free to play! You can find it in the Play Store.